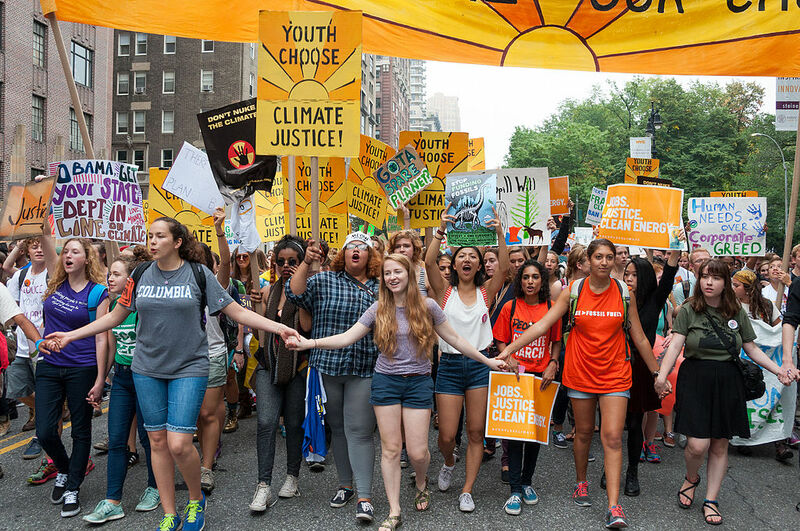 Youth marchers demand climate action. Photo Credit: Alejandro Alvarez. ENvironnement JEUnesse v. Canada: ENvironnement JEUnesse, an environmental nonprofit, applied in the Superior Court of Québec to bring a climate change-related class action against the Canadian government on behalf of Québec citizens aged 35 and under. ENvironnement JEUnesse reports that it has asked the Court to declare that the Government of Canada has failed in its obligations to protect the fundamental rights of young people under the Canadian Charter of Rights and Freedoms and the Québec Charter of Rights and Freedoms by failing to set a greenhouse gas reduction target sufficient to avoid dangerous climate change impacts, and by lacking an adequate plan to reach its greenhouse gas emission target. Friends of the Earth Germany, Association of Solar Supporters, and Others v. Germany: Friends of the Earth Germany reports that they have lodged a constitutional complaint against the German government, alleging that the government’s failure to meet its own greenhouse gas emission reduction goals and EU 2020 goals violate plaintiffs’ fundamental rights. The Foreign Minister of Vanuatu, an island nation, has announced that it is considering whether to file a climate liability suit against fossil fuel companies, financial institutions or nations responsible for climate change. The investigation of alleged human rights violations by fossil fuel companies, currently being undertaken by the Commission on Human Rights of the Philippines and which saw recent meetings in New York and London, could inform such a lawsuit. J. Banks & Co. v. Secretary of State for Housing, Communities, and Local Government: In a different kind of lawsuit, H. J. Banks & Co. Ltd challenged the Secretary of State for Housing, Communities, and Local Government under section 288 of the Town and Country Planning Act 1990 for denying a planning permission for a coal mining project. The High Court quashed the denial on two grounds, including the Secretary’s inadequate explanation of how preventing the project would reduce greenhouse gas emissions. This type of climate litigation will affect how existing law is interpreted in light of climate change considerations and could affect the UK’s capacity to comply with its national greenhouse gas emission reduction targets. In May 2017, the Sabin Center published a report with UNEP that noted among other things that the Paris Agreement would give rise to a new wave litigation seeking to enforce its commitments. That wave appears to be here, along with an increasing focus on potential corporate liability for climate change impacts. Follow along with the Sabin Center’s monthly updates to keep tabs on the most recent climate change litigation developments.